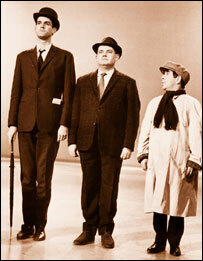 Politicians from all the main parties are worried that Britain is becoming a more stratified society - with fewer people able to climb the social ladder. So they're searching for ideas to help everyone achieve their potential? In a new series of the Sunday Supplement, entitled 'Getting What We Deserve,' the political commentator Anne McElvoy who writes for London's Evening Standard newspaper, explores the merits of meritocracy. In Part Two Anne McElvoy suggests that if David Cameron is still looking for a big idea, why not meritocracy?